Member of the Black Mambas: an all-female anti-poaching unit, Balule Nature Reserve, South Africa, 2017. Bowler in Malawi’s first national women’s cricket team, Malawi, 2016. LGBTQI photographer and filmmaker, South Africa, 2012. Community activist, Manenberg Township, Cape Town, South Africa, 2012. 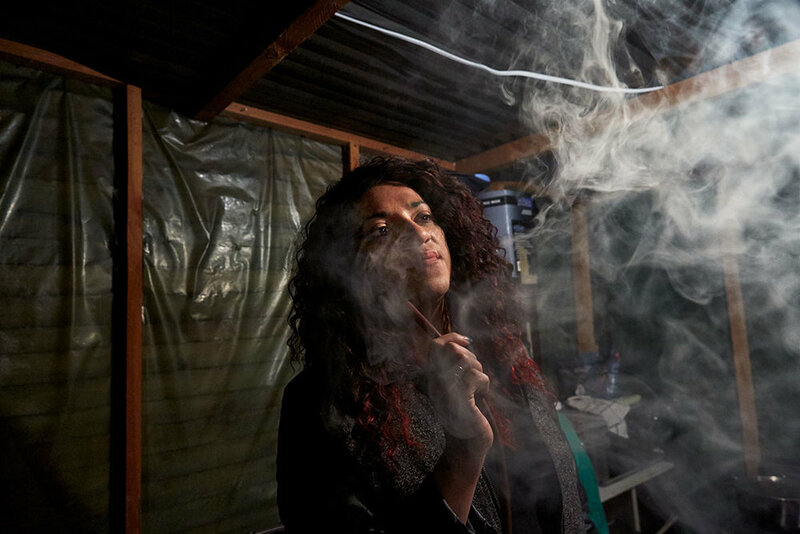 Transgender activist, Heideveld, Cape Town, South Africa, 2014. Internally displaced persons, Mahad IDP Camp, Juba, South Sudan, 2018. Cataract patient, Buluk Eye Clinic, Rumbek, South Sudan, 2018. Bowler / batsman in Malawi’s first national women’s cricket team, Malawi, 2016. Nodding syndrome patient, Mundri, South Sudan, 2018. Internally displaced person and Member of the Sports For Peace football team, Mahad IDP Camp, Juba, South Sudan, 2018. Buluk Eye Clinic, Rumbek, South Sudan, 2018. 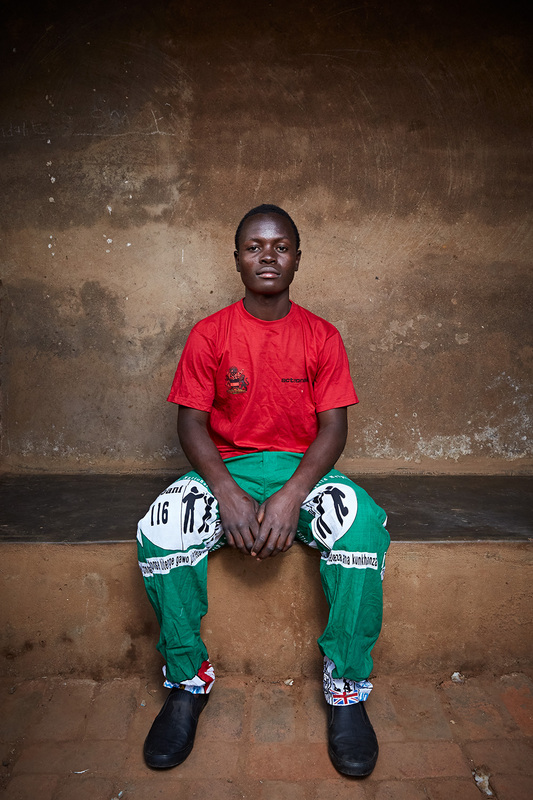 Student at Green Malata Vocational Training Village, Luchenza, Malawi, 2016. Solar panel owner, Luchenza, Malawi, 2017. Green Malata Vocational Training Village, Luchenza, Malawi, 2016. Members of the Black Mambas: an almost all-female anti-poaching unit, Balule Nature Reserve, South Africa, 2015. Allrounder in Malawi’s first national women’s cricket team, Malawi, 2016. Members of the Black Mambas: an all-female anti-poaching unit, Balule Nature Reserve, South Africa, 2015. Mananberg township, South Africa, 2012. Student at Green Malata Vocational Training Village, Luchenza, Malawi, 2017. Green Malata entrepreneur, Luchenza, Malawi, 2017. Green Malata student, Luchenza, Malawi, 2016. Two cataract patients lie head to toe on a single gurney, Buluk Eye Clinic, Rumbek, South Sudan, 2018. Disabled internally displaced person, Mahad IDP Camp, Juba, South Sudan, 2018. Solar battery customer at Green Malata, Malawi, 2017. 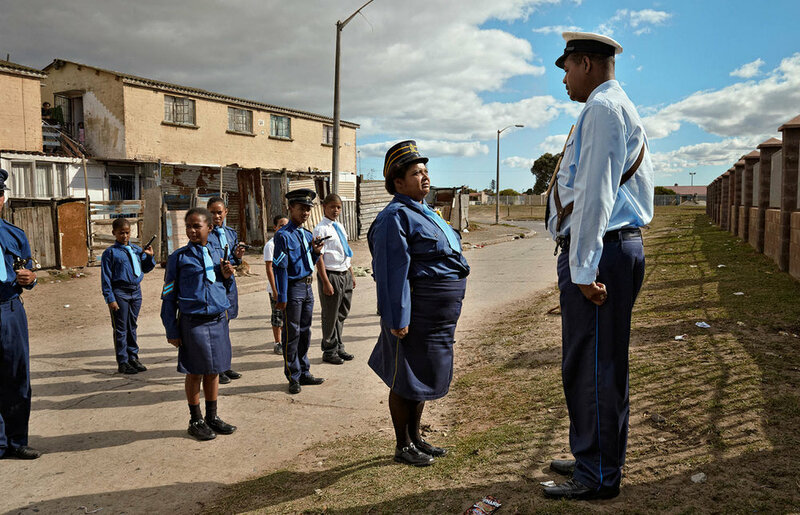 Drum Major in the Manenberg Church Brigade, Manenberg township, Cape Town, South Africa, 2012. From left to right: Members of the Black Mambas, an all-female anti-poaching unit: Leitah, Lukie (background), Nkateko, Cute and Qolile, Balule Nature Reserve, South Africa, 2017. Transgender activist, Elsies River, South Africa, 2012. Daughter in law of Kaku, an internally displaced person, Mahad IDP Camp, Juba, South Sudan, 2018. Domestic worker, Limbe, Malawi, 2018. Former trichiasis patient, Tanzania, 2016. NGO employee and father of seven children with nodding syndrome, Mundri, South Sudan, 2018. One of Wilson America’s seven children, all of whom suffer from nodding syndrome, Mundri, South Sudan, 2018. Hadia has multiple disabilities including spinal bifida, hydrocephalus and clubfeet, Mundri, South Sudan, 2018. Executive director at Active Youth Agency, Juba, South Sudan, 2018. Patient at Kanombe Military Hospital, Kigali, Rwanda, 2013.
guitarist, Yoneco’s Children’s Band, Zomba, Malawi, 2018. Orphaned schoolgirl, Luchenza, Malawi, 2016. Sudan Evangelical Mission field worker, Mundri, South Sudan, 2018. LGBTQI activist and photographer, Khayelitsha township, Cape Town, South Africa, 2012. Bush Babies Environmental Education Program, Foskor Primary School, Phalaborwa, South Africa, 2017. Green Malata solar battery customers, Luchenza, Malawi, 2017. Transgender activist and occasional hairdresser, Heideveld, Cape Town, South Africa, 2014. Sports For Peace football team, Mahad IDP Camp, Juba, South Sudan, 2018. Green Malata solar battery customer, Luchenza, Malawi, 2017.
bass guitar, Yoneco’s Children’s Band, Zomba, Malawi, 2018. Men’s National Cricket Team of Malawi, Blantyre, Malawi, 2016. Member of the Black Mambas: an all-female anti-poaching unit, South Africa, 2017. Green Malata solar battery customer, Malawi, 2017. LGBTQI advocate, Eerst Rivier, Cape Town, South Africa, 2018. Student at Green Malata Vocational Training Village, Malawi, 2016. Chedino’s friend Alicia line during the Miss Temptation beauty pageant, Athlone, Cape Town, South Africa, 2014. 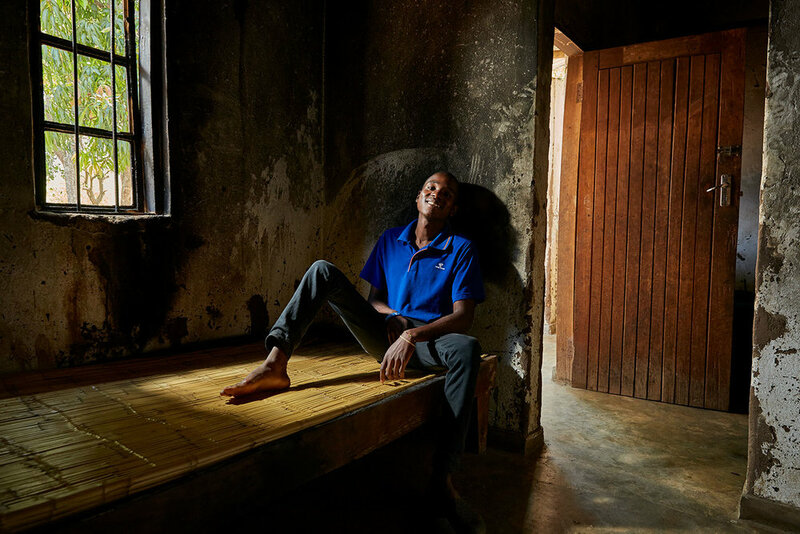 Cataract patient, Muhimbili Hospital, Dar Es Salaam, Tanzania, 2016.
keyboard, Yoneco’s Children’s Band, Zomba, Malawi, 2018. Member of Protrack Anti-Poaching Unit, Balule Nature Reserve, South Africa, 2017. 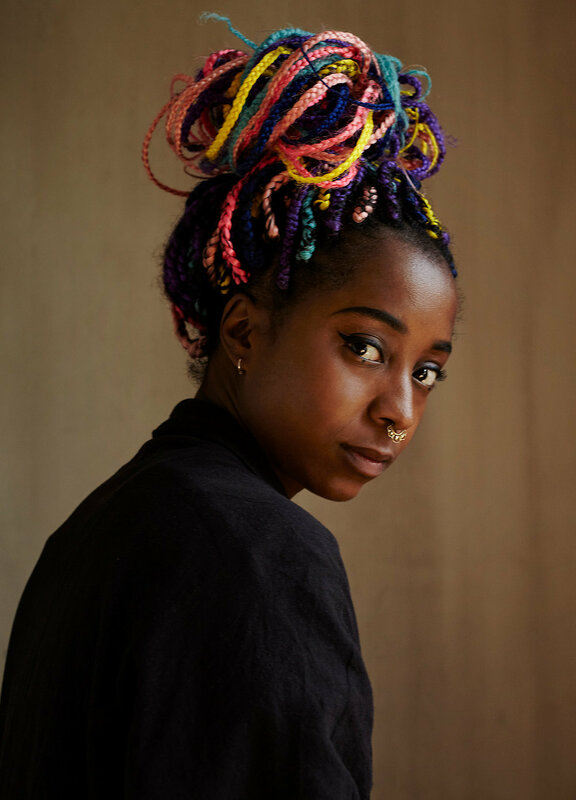 Founder of Free Gender, and LGBTQI activist, Langa township, Cape Town, South Africa, 2014. Gardener at Green Malata Vocational Training Village, Green Malata, Malawi, 2018. Wife of Wilson America and mother of 7 children with nodding syndrome, Mundri, South Sudan, 2018. Regular in bar, Berlin, Germany, 2014. Guitarist of the Hard Rock Karaoke Band, Amsterdam, The Netherlands, 2011. Transgender activist, Westlake, Cape Town, South Africa, 2017. Founder of the Bush Babies Environmental Education Program and its sole education officer, Phalaborwa Primary School, Phalaborwa, South Africa, 2017. Bush Babies Environmental Education Program, Foskor Primary School, South Africa, 2017. Contestant in the 2014 Miss Temptation beauty pageant, Athlone, Cape Town, South Africa, 2014. Entrepreneur with the Bread Angels: a group of single mothers who have formed a cooperative business network, Luchenza, Malawi, 2018. Miss Temptation Beauty Pageant, Athlone, Cape Town, South Africa, 2014.
stylist, Amsterdam, The Netherlands, 2016. Administrator at Green Malata Vocational Training Village, Luchenza, Malawi, 2016. Cataract patient, Peko Misegese Village, Tanzania, 2016. Black Mamba Nkateko & Bush Babies education officer Lewyn, Maseke Primary School, South Africa, 2017. Black Mamba Nkateko, Maseke Primary School, South Africa, 2017. Regular at bar, Berlin, Germany, 2014. Hanover Park township, Cape Town, South Africa, 2017. Gardener at Green Malata Vocational Training Village, Malawi, 2016. Green Malata entrepreneurs, Luchenza, Malawi, 2016. Trachoma trichiasis patient, Tanzania, 2016. Manager at Green Malata Vocational Training Village, Luchenza, Malawi, 2016. Maternity ward nurse at Kanombe Military Hospital, Kigali, Rwanda, 2013. Gugulethu township, Cape Town, South Africa, 2012. Hanover Park, Cape Town, South Africa, 2017. Wilson America, with his wife Janet, and their 7 children, all of whom suffer from nodding syndrome, Mundri, South Sudan, 2018. Chedino’s friend Alicia performs as part of Divas in Cabaret, a femgay/transgender performance group, Elsies River, Cape Town, South Africa, 2014. Transgender activist, Hanover Park, Cape Town, South Africa, 2017. Internally displaced persons and members of the Sports For Peace football team, Mahad IDP Camp, Juba, South Sudan, 2018. Nr. 9 during the Miss Temptation Beauty Pageant, an annual femgay/drag event, Athlone, Cape Town, South Africa, 2014.
writer & teacher, Amsterdam, The Netherlands, 2018.
welding student, Green Malata, Luchenza, Malawi, 2018.
at home, Valhalla, Cape Town, South Africa, 2018.